How Fast Does A 250cc Dirt Bike Go And How Safe Is It? I don’t know where I got this trend from but I naturally like to have the fastest beast, even if I rarely ride at some of the extreme speeds my friends do. And so I was recently upgrading my dirt bike, I realized that all the 250cc models I had in mind were promising varied speeds. On searching online, I discovered that a significant number of enthusiasts were also asking how fast does a 250cc dirt bike go. So I was inspired to write about the actual different dirk bike speeds and specifically, about the precise 250cc dirt bike top speed. How Fast Does A 250cc Dirt Bike Go? There is a remarkable difference between the different models. Some like the APOLLO 250cc AGB-36 Dirt Bike will give you about 70mph while the Roketa Dirt Bike 250cc is at its highest riding between 50-60 mph. Other models will certainly go up but my overall observation is that each is on its own. I should, however, point out that this behavior isn’t limited to 250cc dirt bike only. Rather, it’s an inclination that runs across the industry where bikes offer varied speeds despite having an equal capacity. 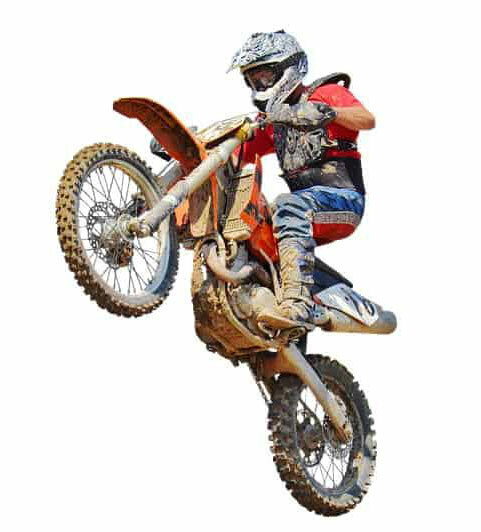 Also, how fast you can go will depend on other factors such as transmission gearing, the overall weight of your dirt bike, and even the number of teeth both on the front and rear sprockets. Various other issues affect acceleration and top speeds so don’t expect to dart around at equivalent speeds. 2 Stroke 250cc Dirt Bikes Vs 4 Stroke 250 Cc Dirt Bikes. 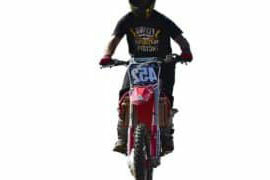 Most of us know about all the bad things race organizers say about a 2 stroke dirt bike 250cc. But is a 2 stroke as terrible as people make it look? Now, a KTM 250SX 250cc dirt bike 2 stroke top speed is, for instance estimated to average a high of 60 mph. 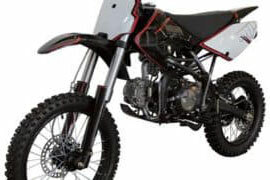 Now, that is not too far from Apollo’s AGB-36 250cc Dirt Bike 4 Stroke Top Speed of 70 mph especially considering that aggressive riders can easily conquer the 60 limit. Still there, the biggest concern among fans of 2 stroke bikes is the fun part. In general, 2 stroke bikes are by far more thrilling to ride their completion due to their demanding nature. Sadly, these machines are definitely way behind from a technological angle hence the opposition from various quarters. On the other hand, 4 stroke bikes are smoother to ride but “plain boring”, to use the words of my friend Denson. Analysis Of the Brands Offering 250cc Dirt Bikes. Now, to put things in more perspective, I will highlight my 250 dirt bike top speed findings as offered by the various brands. Before then, somebody asked me why manufacturers call 249cc dirt bikes 250cc. Well, I would say it’s an issue of math and to simplify the language. You see, many so-called 250cc bikes are in reality 249cc. But since 250cc sounds better, companies prefer to use 250cc instead. There are however some actual 250cc bikes including a few cheap 250cc dirt bikes. Now, let’s look at the brands and what you can expect in your quest for the fastest 250cc dirt bike. Does Yamaha ever miss an opportunity? Well, not often and you can bet on them to shake up matters whenever they make an entry. ..
And true to form, they have a formidable presence in the 250 bike’s class with a number of imposing options. Yamaha YZ250F: Tough and domineering are the best words to describe this 250cc dirt bike Yamaha. The dirt bike can top anywhere from 65 mph to 75 mph depending on how you are managing it. Yamaha WR250F dirt bike: This Yamaha 250 dirt bike top speed is estimated at 80 mph with stock gearing. The usual previously mentioned factors will also influence how it fast goes. Suzuki has also dug into its wealth of experience with dirt bikes to deliver some true gems here. Suzuki RM-Z250: Designed for the absolutely demanding dirt rider, the Suzuki RM-Z250 dirt bike lands here as a proven performer. And at an estimated 85 mph when in an inspired form, it’s hard to dispute this. I won’t be surprised if it to throws in some extra miles with exceptional shifting. Suzuki RM250 Bike: Yet another winner, this 2-stroke dirt bike is happy to deliver a respectable 80 mph. Expect to be pleased with its superior handling characteristics if you were to go for it. If there is one brand that knows how to gatecrash dirt bike parties just as everyone is settling down, call it Apollo. The thing I love most about them is the pocket-friendly prices. Apollo AGB-36 Dirt Bike 250cc: We had seen that this Apollo 250cc Dirt Bike Speed is roughly 70 mph. Apollo DB-36 250cc: The manufacturer quotes DB-36’s top speed at 45 to 50 mph. While this brand originated in the Scandinavia (Sweden), Husqvarna has slowly clawed some of the market share previously tightly controlled by the Japanese models across the globe. And yes, they are pretty good. Husqvarna FC250: According to the company, this is designed to remain ahead of the rest of the field. It has excellent riding ergonomics and will give you about 43 mph give or take a couple of mph. Husqvarna TC250 Dirt Bike: Husqvarna proclaims this as one of the most improved 2-stroke engine 250cc dirt bikes. It further says it will deliver the highest performance in its class. So, how fast is it? About 72 mph at most (as estimated by several of its owners). I was thinking about adding the best 250 dirt bike from KTM, having been their huge follower for many years. KTM 250 SX: Comes with a 2 – stroke, 249 cc, 1 – cylinder, water – cooled engine. The 5 speed will top at about 60 mph (from several estimates). KTM 250 SX-F: One of the youngest babies from KTM, it promises up to 78 mph. That’s assuming all other factors remain optimal. 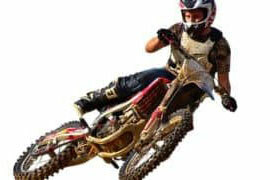 Honda is another big player when we come to off-road and championship grade dirt bikes. Well, my digging around took me to their immensely popular dirt offerings. Here they are plus an estimate of the maximum speed. Honda CRF250R dirt bike: This 250cc Dirt Bike Honda Top Speed maxes out at about 70+ with the best gearing. Ordinarily, some will only manage a topmost speed of 67 mph. It’s again a four-stroke. Kawasaki motorcycles has distributed its engineers and technology to various corners of the world. Their bikes are resilient, super agile, and pure delight. Kawasaki KX 250: Another 4-stroke, 1-cylinder, water-cooled monster. It’s so good I almost changed my mind from the KTM. Speed? Be ready to rev up at around mid-70s. Again, a tweaked bike could exceed this. Kawasaki Ninja 250R Dirt: The Ninja is superb and will roughly ride on between top speeds anywhere from 80 to 100 mph on the highest scale. As usual, your expertise and bike preparedness can help you do better? What Is The Best 250 Dirt Bike? Now to the question on everyone’s lip: what is the best 250 dirt bike? Well, I have to disappoint you here because what may be good for me could naturally be troublesome for another rider. In short, it’s a question of personal preferences and certain consideration such as your height, weight, riding skills, and even your goals. Momentarily forget about how fast is a 250cc dirt bike and concentrate on getting a bike that will serve your needs- whatever they are. After all, the dream top speed of 250cc dirt bikes can be difficult to sustain unless you somehow manage to maintain the perfect conditions as a person both physically and mentally. Additionally, your bike will always need to be in tip-top shape to consistently outrun the rest. You cannot answer the question “how fast does a 250cc dirt bike go?” without mentioning the differences between the available models. That’s because some such as the APOLLO 250cc AGB-36 Dirt Bike will range from 70mph while there are brands that have bikes hitting as much as 90 mph. But there is not a defined extreme maximum since other factors such as the rider’s weight and bike’s construction come into play. Indeed, it would be safe to say it’s as fast as you can go!